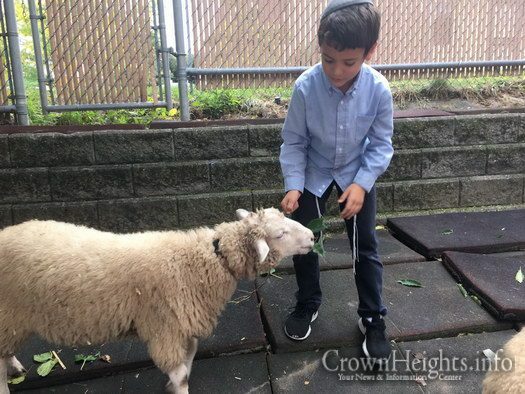 « 8:00pm: Can We Go to a Non-Religious/Non-Chassidic Therapist? 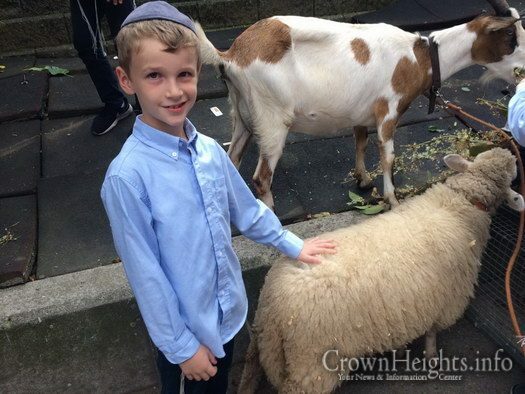 When a child goes to a grocery store and sees the cold bottles of milk lined up under fluorescent lights, when he sees the little cow on the printed label, it probably doesn’t dawn on him to question the connection between the contents of the bottle, and where it came from. 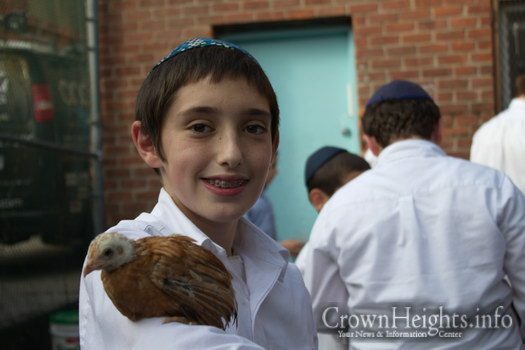 It’s pretty unreasonable to think that when he picks up the foam tray of raw chicken, featherless and tucked in tightly under the plastic, that he will contemplate how this is just about as close as he ever gets to a chicken in his everyday life. 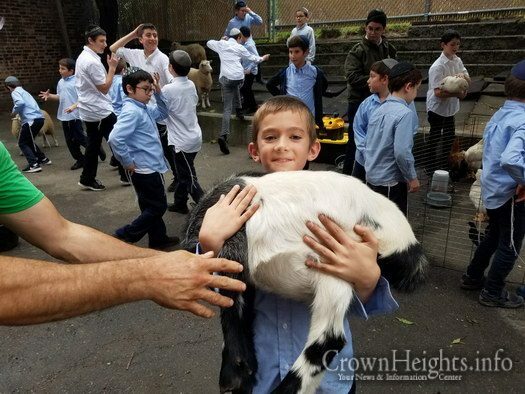 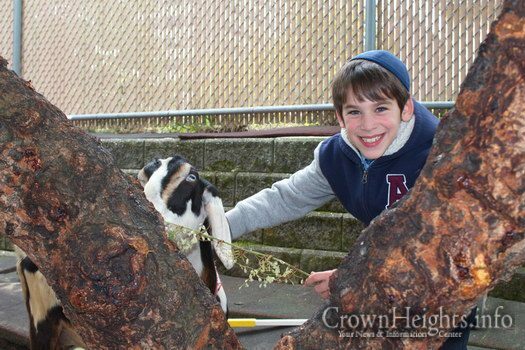 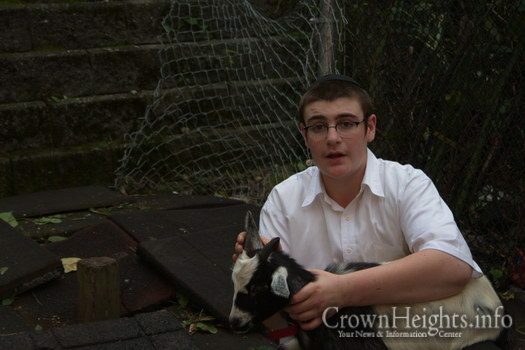 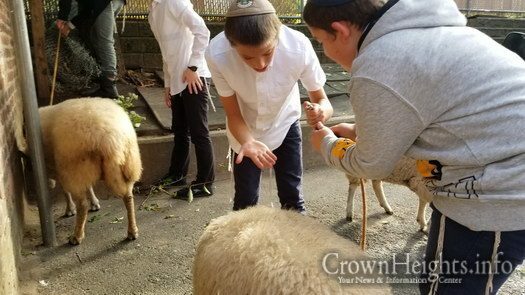 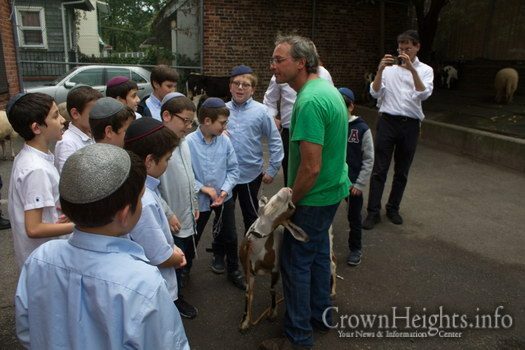 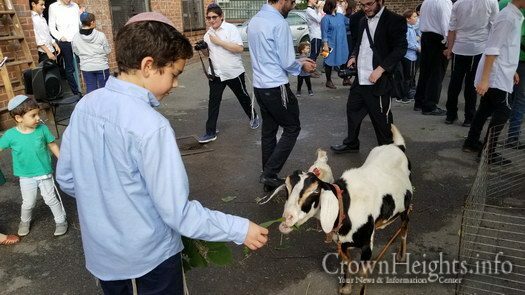 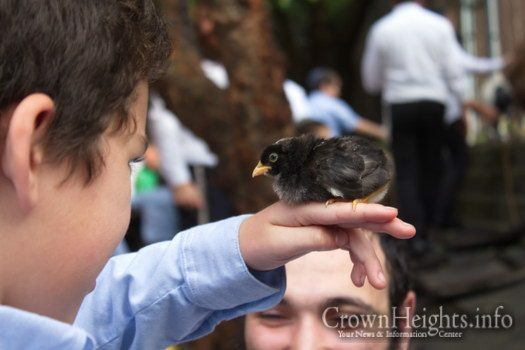 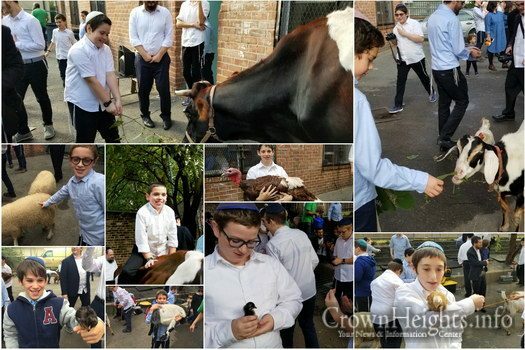 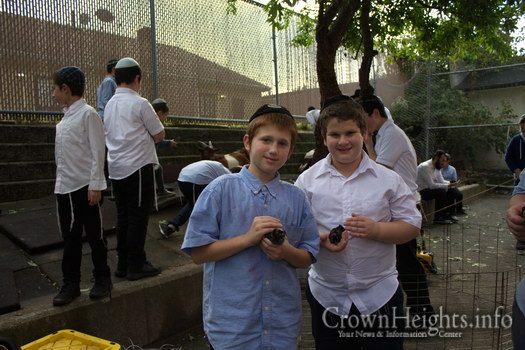 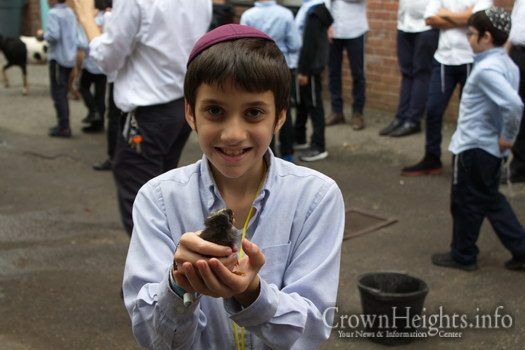 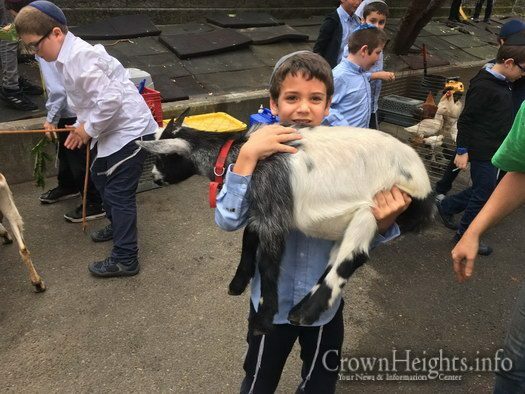 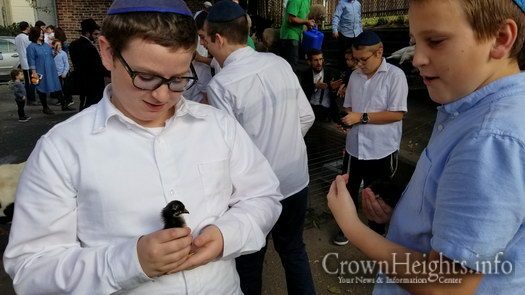 On Tuesday last week, Darchai Menachem was visited by a petting zoo. 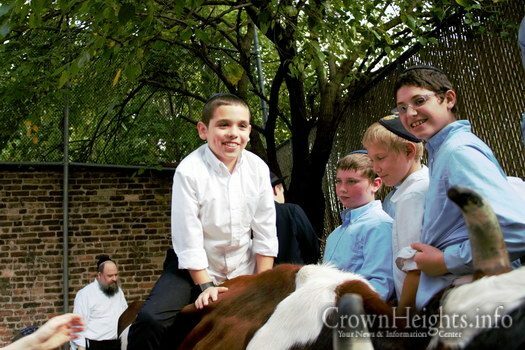 The massive cow looked down with lazy eyes when the boys started to milk her. 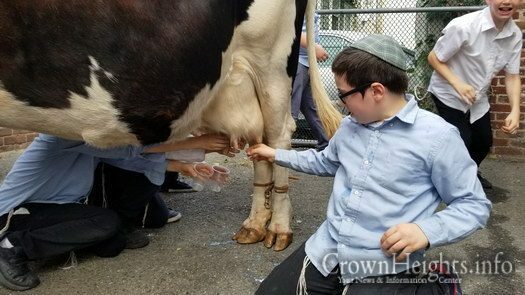 The farmer from Beaver Wood Farms announced that for whoever wanted to drink, the milk was cholov yisroel. 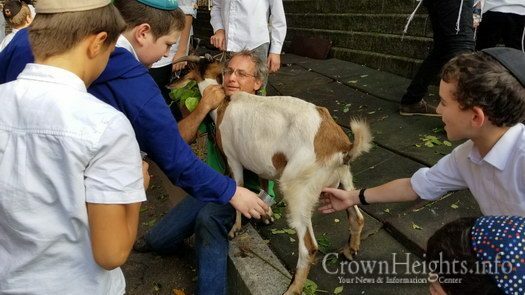 Goats ate leaves from branches dangled by students, and sheep licked up pellets from their hands. 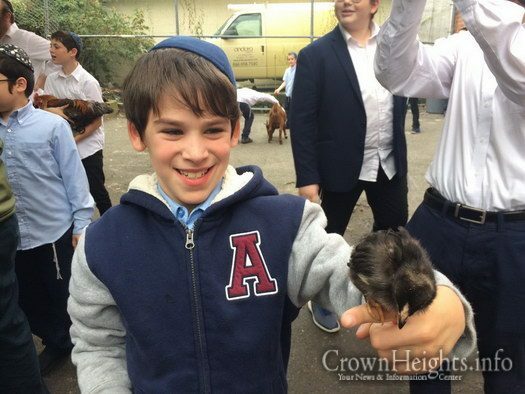 Chickens in the pen were picked up and carried around, small heads bobbing in the arms holding them. 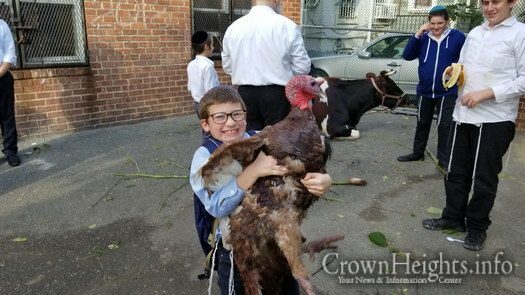 There was a shout when the turkey was hurled into the air, and the boys scrambled to get out of its way, watching its wings bat as it descended. 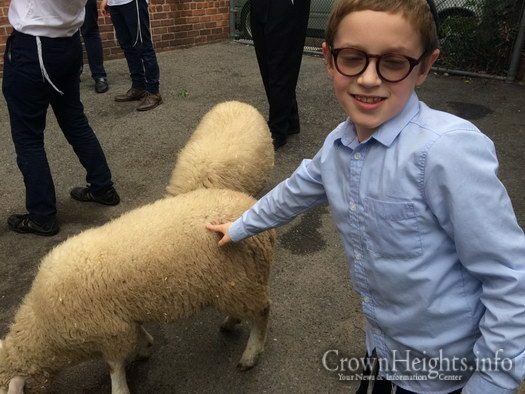 All through the yard, the animals wandered in their dozens. 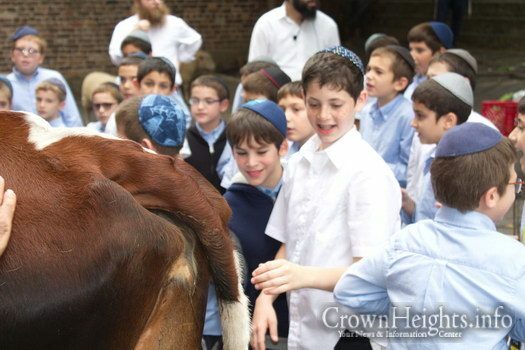 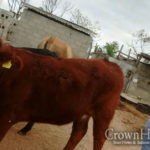 Kids rode on the backs of cows, hands buried in the fur, huge smiles on their faces. 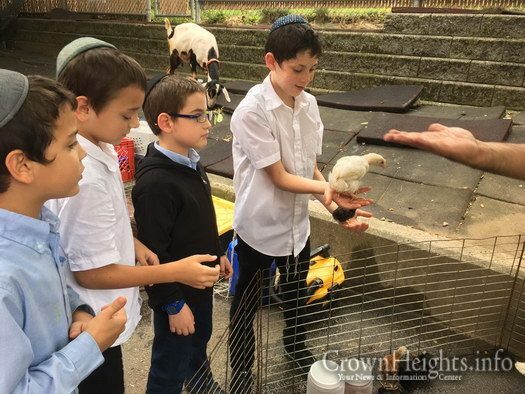 By the time the animals were loaded back into the pens on the trucks, every student had fed, pet and even milked an animal. 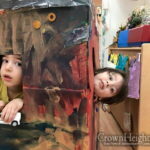 Research has always concluded that children respond to hands on experience the way they never would to abstract information. 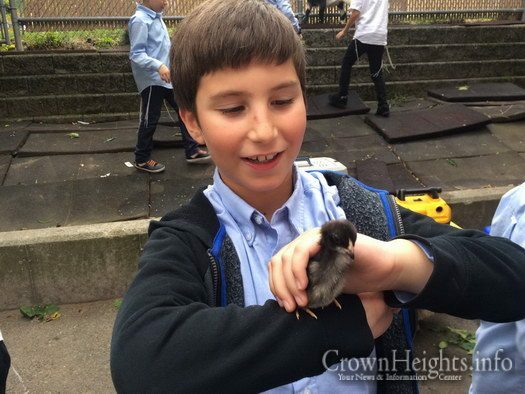 The way to teach students is through their hands and eyes, not just their ears. 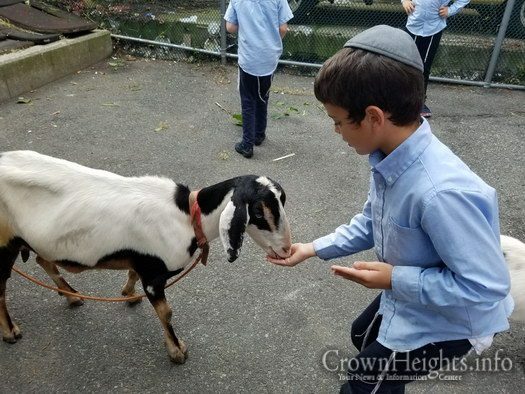 This is how Darchai Menachem teaches Parshas Noach. 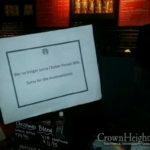 Picture of the Day: Got Milk?